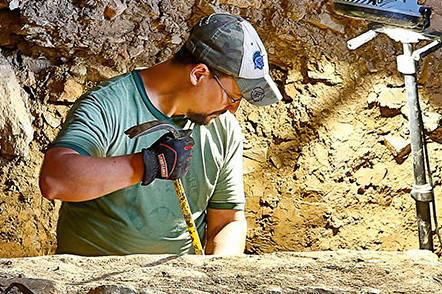 Nick Laracuente, known as the “The Bourbon Archaeologist,” is a Kentucky based archaeologist and manager at the Kentucky State Historic Preservation Office. As director of the award-winning Jack Jouett Archaeology Project, a community archaeology project which involves over 130 volunteers, he focuses on investigations of early whiskey distilleries in Central Kentucky. The Jack Jouet Archaeology Project earned the Kentucky Historical Society Excellence in Preservation Education Award 2015 and the Ida Lee Willis Service to Preservation Award 2016. His archaeological research focuses exclusively on the distilling industry and most of his projects involve the public.